Emory University law professor and immigration and citizenship expert Polly Price discusses the new bipartisan Senate immigration reform plan. As the debate on U.S. immigration reform continues in Congress, Polly Price, professor at Emory University School of Law, will study a lesser-known, public health component of the issue—the rise of multidrug-resistant tuberculosis along the southern U.S. border. Price is one of six professors chosen for the Robert Wood Johnson Foundation's Scholar-in-Residence program in public health law. She will work with the federal Centers for Disease Control and Prevention's Division of Global Migration and Quarantine, and the Texas Department of State Health Services. Current state, federal and international laws complicate efforts to properly treat tuberculosis among Mexican immigrants, Price says. "There has been an overall rise in tuberculosis among Mexican-born persons who live in the four U.S. states bordering Mexico," Price says. "And incidents of multidrug resistant tuberculosis have also increased in the region." "Addressing the problem is difficult because of the labyrinth of state, federal, and international regulations to provide long-term TB therapy—especially for frequent border-crossers and those detained in the U.S. immigration system," she says. Price's project goal is "better coordination among agencies within existing legal structures," she says. Starting in June, the law professors whose projects were selected for funding will work for six months with host sites such as state, local or tribal health departments, including at least one month on-site. 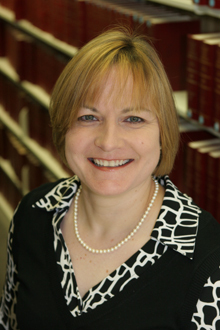 Price's current research involves U.S. quarantine law and federalism aspects of public health law. She has previously collaborated with the federal Centers for Disease Control and Prevention's Division of Global Migration and Quarantine. The scholars-in-residence were selected to develop projects to solve problems that confront their partner site. "In addition to contributing legal analysis and expertise to the host site, the scholars will use their field experiences to bring practice-focused content and examples back to enrich their teaching of public health law," program organizers said. Emory's resources, including the Rollins School of Public Health, will be valuable to the success of the project, according to Price.